Ticks have long been a top nemesis of hunters, particularly wild turkey hunters who are in the woods during the spring. Now hunters and others spending time outdoors are encountering a new threat caused by a tick's bite: a red-meat allergy. This news comes on the heels of the latest Center of Disease Control and Prevention’s Vital Signs, a monthly report that most recently documented the increase of disease cases caused by mosquito, tick and flea bites. These cases have tripled in the U.S. from 2004 to 2016. Tick-borne illnesses have doubled in this same timeframe. There are now seven new tick-borne germs that can infect people in the U.S. — double the number of germs documented in 2004. Courtesy of the CDC. Click the image to view a larger rendering of this map. Compounding the issue is the ever-increasing mobility of our global culture. Commerce moves mosquitoes, ticks and fleas around the world, and infected travelers can introduce and spread germs globally and domestically. The red-meat allergy and its carrier, however, didn’t have to cross an ocean to infect U.S. citizens. 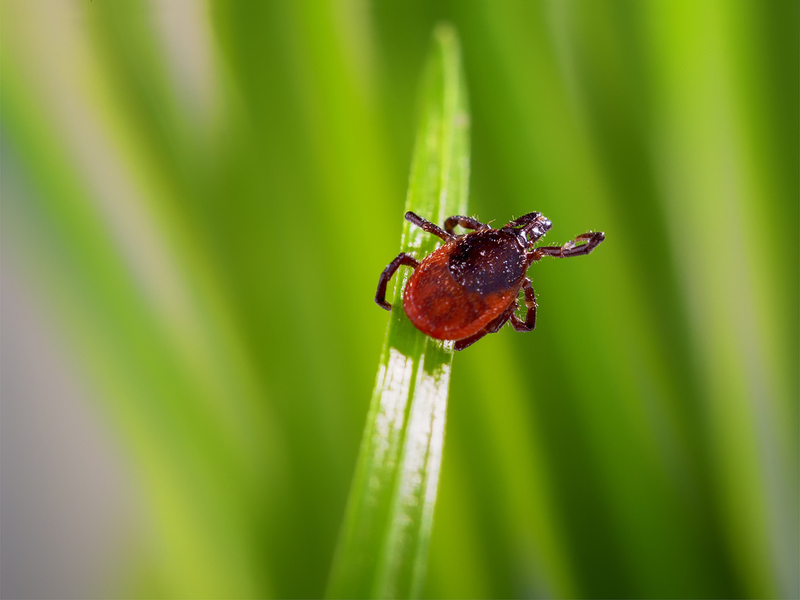 Physicians believe the allergy can be attributed to Lone Star Ticks, a tick once limited to the South that's now migrated north and westward. Red-meat allergy symptoms include redness and itching, stomach problems and potentially anaphylaxis. Researchers say the fattier the red meat, the more likely a person is to have a severe reaction. "This has become the biggest cause of new onset food allergy and anaphylaxis in adults throughout the South and largely in the East as well," UNC Chapel Hill researcher Dr. Scott Commins told CBS News. Here’s a list of precautions hunters can take, first featured in the Grand View Outdoors article, Lyme Disease, the Hunter’s Disease. Tick repellent. Use a tick repellent that contains safe amounts of Deet when in a “risk area.” Remember, “risk area” is virtually anywhere outdoors where animals live. Deet-Free Products. Look at new products now on the market using Geraniol, an effective insect repellent that is Deet free. A no-spay alternative, Thermacell introduced its Tick Control Tubes last year. The tubes allow hunters and families to treat their backyards and other confined areas against ticks. A no-spay, natural alternative. Thermcell introduced its Tick Control Tubes last year. The tubes allow hunters and families to treat their backyards and other confined areas against ticks. The tubes kill ticks naturally by attacking them as they feed. Clothing. Wear light colored clothing to better spot the ticks (Granted, this is something the hunter can’t really do while hunting.). Choose sleeves. Wear long sleeve shirts. Band repellents. Consider wrist and ankle bands like BugBand, treated to repel insects. No need for boot-cut jeans. Wear long trousers and tuck the bottoms into your socks. Seal garment openings. Consider using duct tape or tick “gators” to seal the opening between the top of your boot and pant legs. Wear a hat. A head of hair is utopia for a tick looking to survive and get fat. Block its greatest ambition. Body check. Do a body check for ticks when you get home or back to camp. Remember, the tick you are looking for is about the size of a period at the end of this sentence. Removal tips. If you find a tick, remove it with tweezers by grasping it on the mouth end and not over the central gut area since by squeezing it there, you may be pushing the infected materials into your body. Check your pets. They may carry ticks into your home and can also become infected. A tick can be carried on pets, birds, deer, mice, chipmunks and on you. Scrub, scrub, scrub. After being outdoors, especially if you've spent time around brush and woods, throw your clothes in the washer and take a shower. Wear latex gloves when field dressing and processing game. This should be done even when the odds of contracting Lyme or other tick-borne diseases are slim. Gloves are always recommended since body secretions and blood can transmit other infectious illnesses. Be careful picking up any animal in warm weather, especially varmints and predators.